It was a big day in Boston today – President Barack Obama made a quick visit to Massachusetts to celebrate the opening of the Edward M. Kennedy Institute for the United States Senate. The institute is located on the UMass Boston campus, right next to the John F. Kennedy Presidential Library. President Obama and Joe Biden were among the distinguished guests honoring the late Kennedy’s legacy who passed away in 2009. Michael had the pleasure of meeting and photographing Senator Ted Kennedy back in 1995 right at the beginning of his photography career. 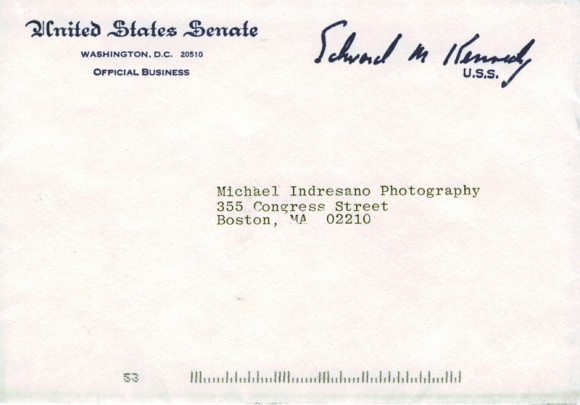 See the photo and thank you letter Michael received from the Senator below! 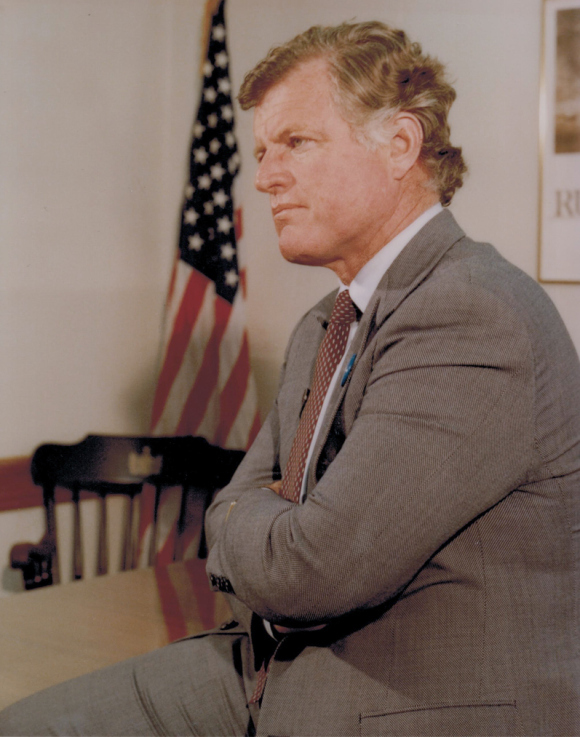 Michael’s photo of Senator Kennedy, a beloved politician locally and nationally. The official envelope all the way from Washington, D.C.! 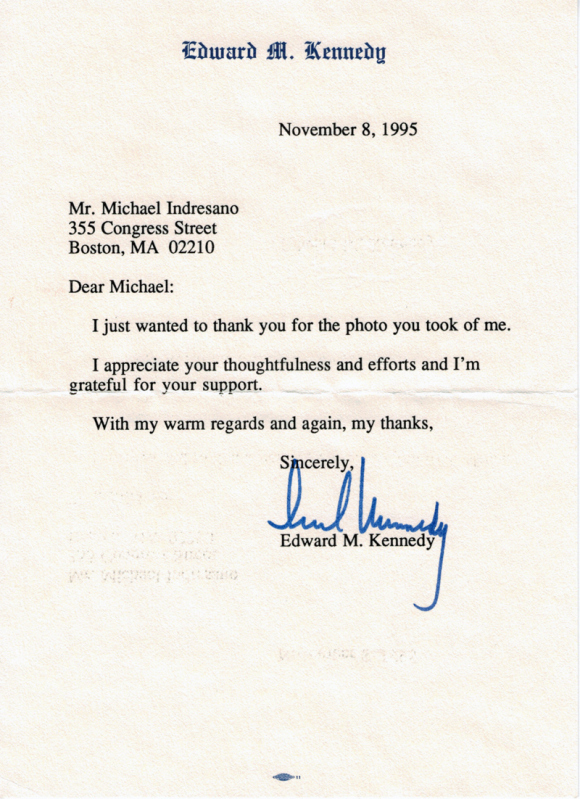 The thank you letter from Senator Kennedy to Michael 20 years ago!